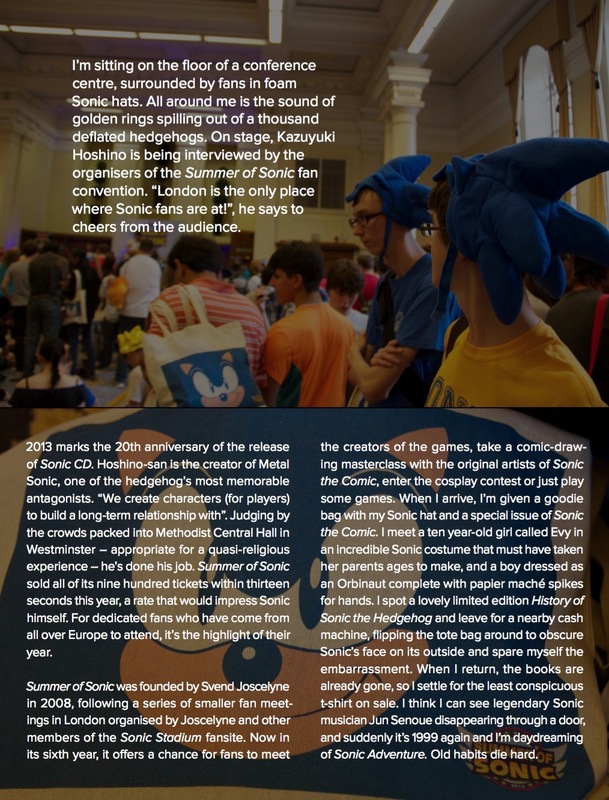 Once again we’ll be at Summer of Sonic – if you’re coming along, there’s a special gift from us in your goodie bag! Keep an eye out for Jess in her Sonic costume, and Alan desperately trying to get Yuji Naka to sign his original copy of Sonic the Hedgehog. We’re big fans of the blue blur at Five out of Ten: here are some of our favourite Sonic (and Sega) features! A Blur in Blue: from our fifth issue, Mind Games. 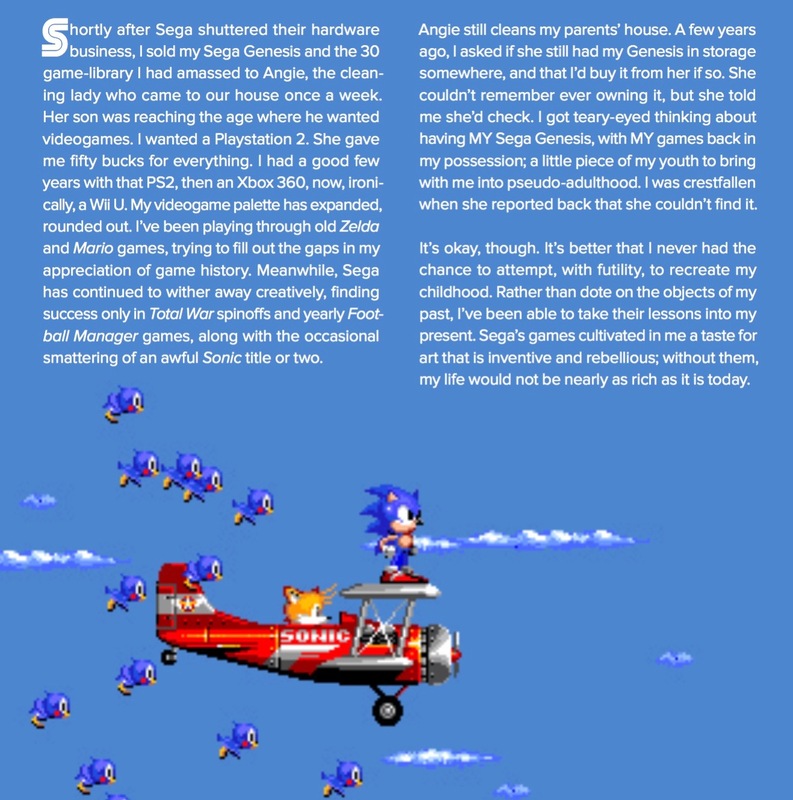 Alan visits Summer of Sonic to have his faith in Sonic – and perhaps humanity – restored. The Temple of Time: from our ninth issue, Time. How does nostalgia help and hinder the way we appreciate and play old games? Or, if you want to read something different, try our back catalogue!